I’m really lucky to have some great neighbours. We live in an apartment building where it is all too easy to shut the door and ignore the outside world. It is only over the last year or so that I’ve gotten to know the people living so close to us and I’m so glad I did. It can really help to have friends nearby especially when you have freshly baked goods you need to offload to avoid eating all of them! When my lovely neighbour Bec celebrated her birthday last week I thought it was only appropriate that I bake her a cake. Being that it is only her and her boyfriend at home I didn’t want to make a giant cake, but rather something small and simple. Unfortunately I only had one small baking tin so each layer was baked separately (hence the variation in sizes) and then assembled. The lemon in this cake is bright and delicious and pairs well with the cream cheese and coconut frosting. Using lemon curd in the layers also helps bring out the tanginess, feel free to use store bought or make your own. The edges of the cake can get a bit dry so I would recommend covering the cake with foil as it is baking if it starts to brown too quickly. The recipe converts well into a full sized cake if you’d rather make it that way. 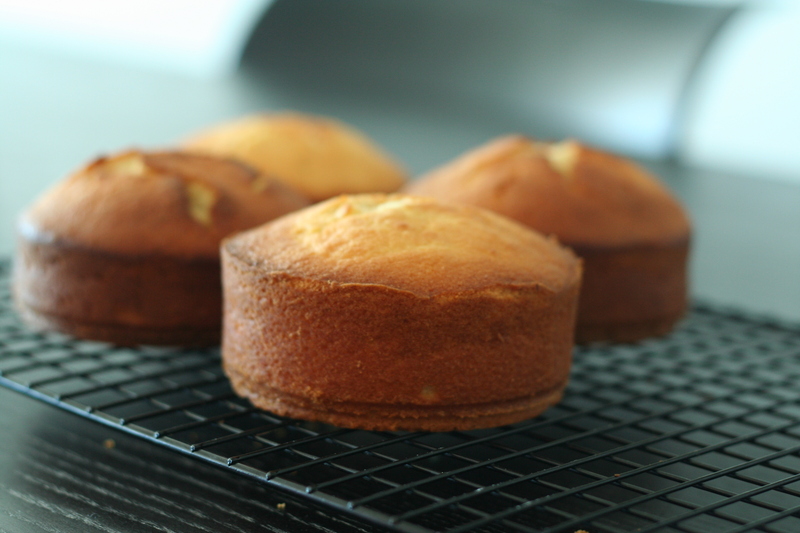 Using a 10cm cake tin I made five small cakes which, when sliced, equated to two frosted cakes. Preheat the oven to 180° and prepare your baking tins. In an large bowl place your cooled butter, sugar, eggs, cream, lemon juice and rind and beat on a low speed until combined. Sift the flour and baking powder into the bowl and beat for 3-4 minutes on medium speed until smooth. Pour into tins and bake for 25-30 minutes or until a skewer inserted into the centre comes out clean. Allow to cool completely before cutting and frosting. In a medium sized bowl beat together the cream cheese, butter, vanilla, lemon juice and zest until smooth, about 5 minutes. 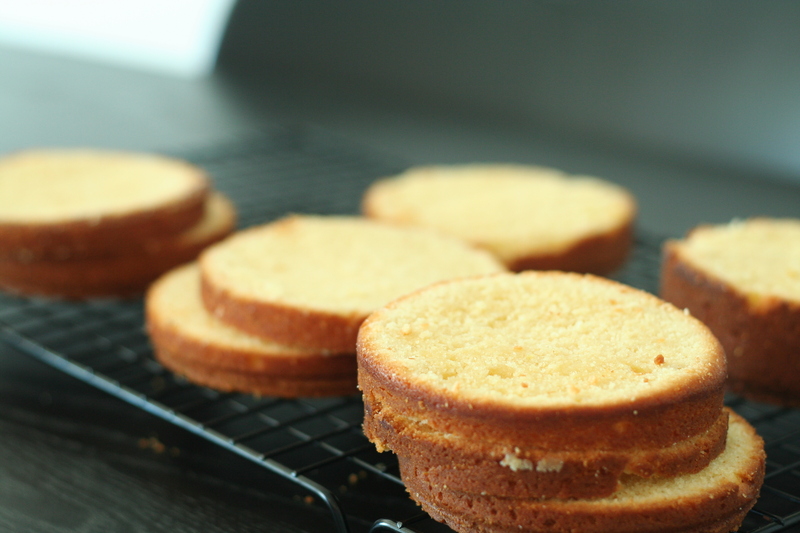 Sift the icing sugar in a cup at a time, combining with each addition, until you get a thick spreadable frosting. 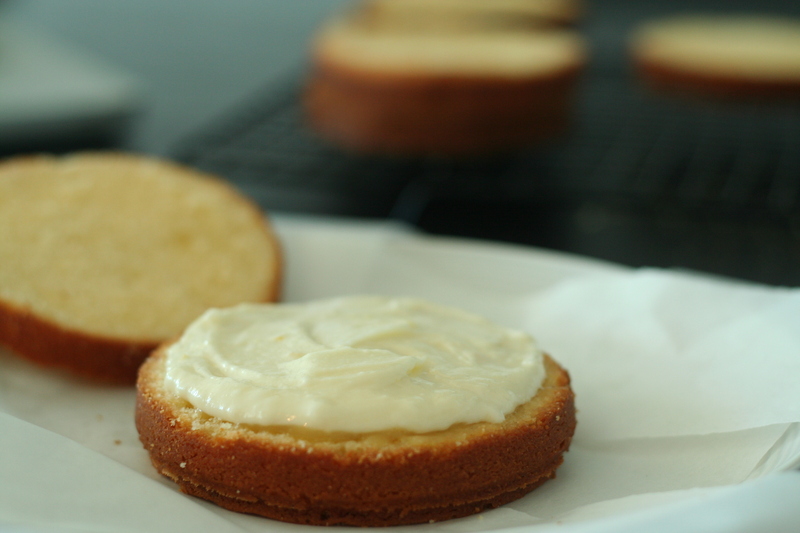 When assembling the cake spread a layer of lemon curd on each layer before adding the frosting. Continue to add layers until you get the height you desire. I would recommend keeping everything cold to help make the process easier. 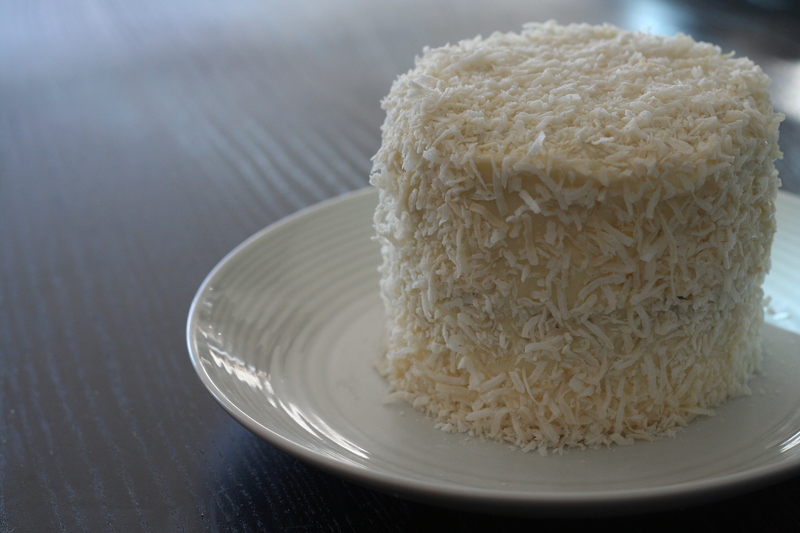 Cover the top and sides of the cake in more frosting, then press desiccated coconut onto each surface to cover the cake. 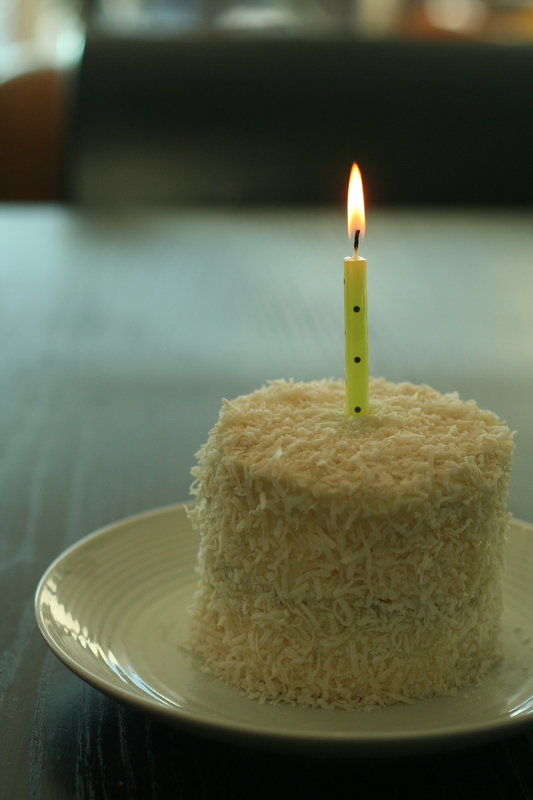 I love the idea of coconut frosting with the lemon cake,this looks delicious! I love the coconut paired with the lemon,this looks delicious! Reblogged this on Misty Adams Journal.